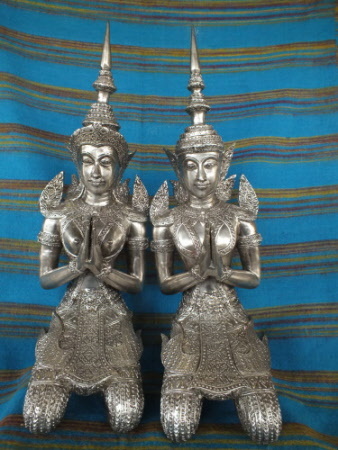 Used in Temples and homes worldwide to guard the entrance from evil spirits and negative energy. 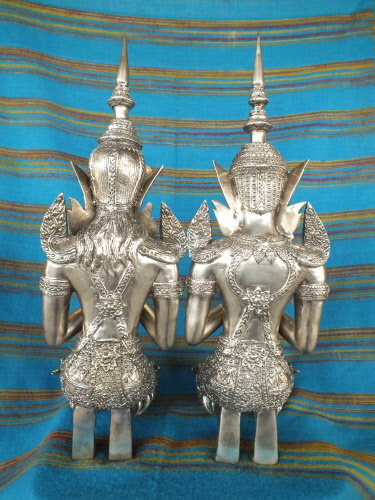 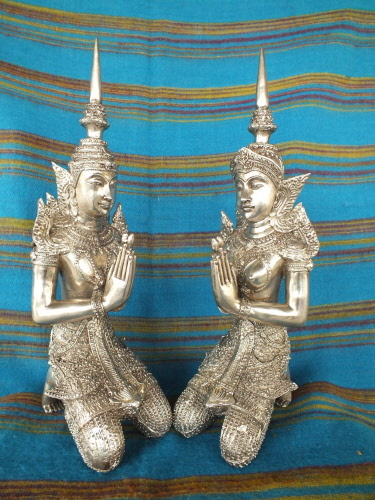 Beautiful Thai Temple Angels / protection for Temple or home, put them facing your entrance. Made from Bronze with a silver finish - cast in Thailand.